There’s nothing like a really bright crinkly quilt fresh out of the dryer to make my day. I stippled this one, mainly because I love the crinkly look, and I hadn’t stippled in awhile, I was having withdrawals. It was really fun, I finished it within a couple of hours because I just couldn’t stop. I love the way it turned out, really crinkly, really soft, and nice and warm to cuddle under. I literally had to STUFF it in the quilt basket, which could be a problem. I’m going to need a much bigger basket, or a hutch like this one. Or maybe I should just stop making ( and keeping) so many quilts! i love the backing fabric on this one! such a great quilt…and really love the clock too. Love the clock and the quilt is dreamy (of course!). Have a wonderful Tuesday. Your quilt is simply wonderful! This is such a hot color combination, and I recently learned from contacts on flickr a new word – rocqua -for red+aqua. Your are rockin’ it beautifully! Love, love, love this color combo! Your quilt is just beautiful! 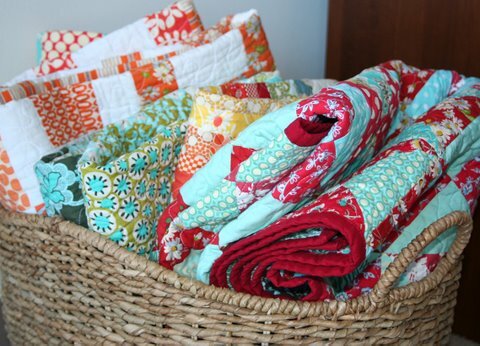 You can never have too many quilts! 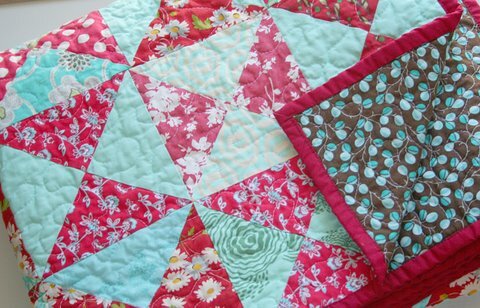 I love love love this quilt, one of my fave color combos! I love the colors of this quilt! I also have this color scheme down to make a quilt out of. how can you not keep them! Especially this one, it’s beautiful! I love the quilt and I love the hutch. Great work Alison! I’m going to attempt to finish my first bigger quilt this weekend, about 36×47, so wish me luck. I love Ben’s quilt too, might have to copy that one for my little guy. 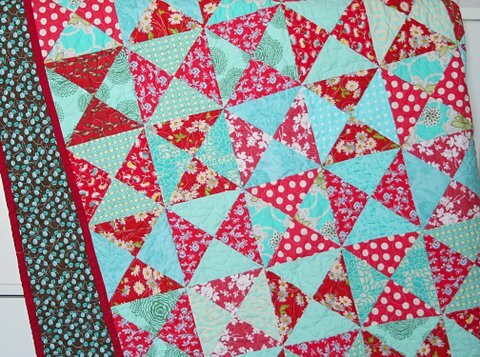 You have now inspired me to do a Red & Aqua quilt! I will add that to the list of quilts I want to make. Of course I will now have to go to Target and check out the clocks! Such pretty quilts. I have the same clock in my kitchen! Love the basket full of goodness and thank goodness I haven’t seen that clock. I like that clock! Question though, is it noisy? 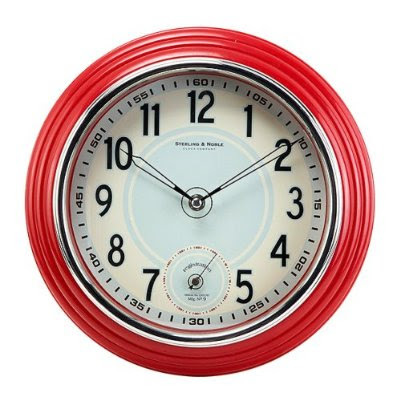 I bought a little table clock from IKEA and even though it’s super cute, it ticks VERY loudly and is annoying. I want to be reminded of the time when I look at the clock, not when I’m trying to concentrate! Thanks for sharing your quilts, wow, you sure are busy! Wow, love this! It just glows. The red/aqua thing is all over the blogs lately. That and the yellow/gray. How have I barely seen this quilt?? I Love the colors! So cute!